hal inta nayem, hal inta nayem? 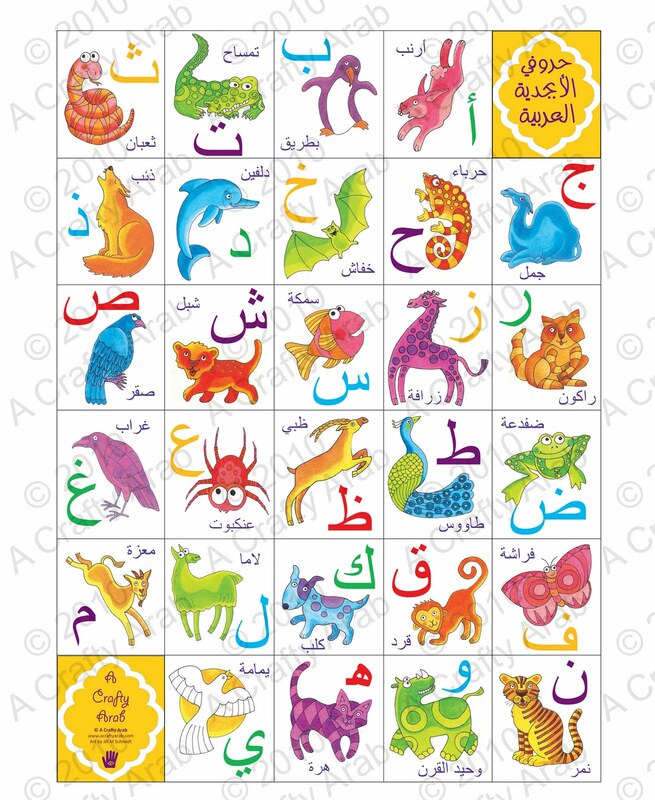 Arabic Alphabet Animal Poster is Here! I know I haven’t been on here for a long long time. But to be honest, I’ve been very busy. I can make a huge list of what I’ve been up to, but we can all save some time and you can just head to my website: www.ACraftyArab.com and check out my calendar page. Yeah, I know, I’m exhausted just looking at it too. But my big big project that I’ve been working on for the last year that has finally come together the last few weeks is my new (drum roll please) Arabic Alphabet Animal Poster! This is just so exciting. This is the first step in creating my whole Arabic Alphabet Animal line. After the poster, there will be flash cards, memory games, place mats, bibs, bed sheets, stuffed animals, books, really the sky is the limit. Nothing like this exists right now. A product line that makes Arabic learning fun for kids. Can’t wait to see where this takes me!